A real estate development company headquartered in Raleigh, NC. Oliver Development, LLC specializes in the development and management of commercial, residential and senior care community real estate. Cambridge Village of Apex opened in 2011 with 85 luxury apartments, a clubhouse, Center for Optimal Living and salon. After two additions over the last five years, the community has 165 units. Located in the quaint town of Apex, NC – recently named the #1 Best Small Town in the U.S. by Money magazine – and within 12 miles of North Carolina’s capital city of Raleigh, Cambridge Village of Apex has become a premier Optimal Living community. Cambridge Village of Apex has partnered with Interim Healthcare to provide enhanced concierge care services. The most recent phase, with 44 units, opened in August 2015. 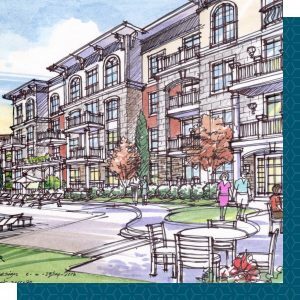 Apex has site approval for another 132 units. With a current occupancy of 95%, new construction of an additional 54 units is currently underway. 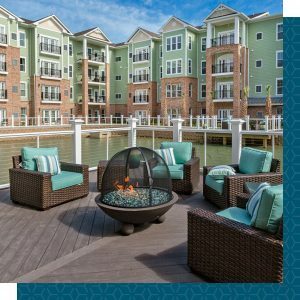 Cambridge Village of Wilmington opened in March 2015, with 110 luxury apartment units, a 28,000 sq. ft. clubhouse and a 12,700 sq. ft. state-of-the-art Center for Optimal Living. Operated under contract with The Davis Community, the Center for Optimal Living provides a continuum of care and an on-site physician’s practice for residents as well as more than 400 outside members. The recent completion of Phase 2 includes 120 apartments, 20 of which are to be designated for enhanced concierge care. This unique format, coupled with our additional amenities, complements our “wellness as a lifestyle” culture. 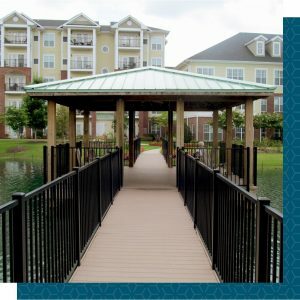 This campus is also connected to the growing and very successful retail community of Mayfair, near Wrightsville Beach. 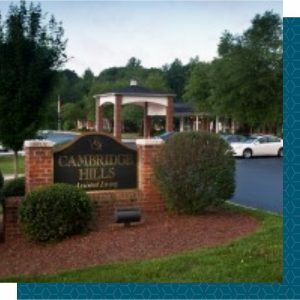 Cambridge Hills Assisted Living, a 120-bed licensed assisted living facility nestled on 40 acres in picturesque Roxboro, NC, offers Southern hospitality and expert care for elderly adults who need a helping hand. Located in the country but only minutes from the convenience of the city, Cambridge Hills Assisted Living offers the best of both worlds. In nearby Durham and Chapel Hill, residents have access to Duke Hospital, UNC Hospital and Duke Regional Hospital in addition to the local hospital, Person Memorial. Cambridge Hills is staffed by an exceptional team of professionals – most who have been with Cambridge Hills since it opened in 2000. Our residents are cared for by knowledgeable and dedicated staff who enjoy working together – and know their residents very well. Cambridge Village of Brier Creek is the next project in the Cambridge Village Optimal Living portfolio. The Brier Creek property is strategically located in one of the fastest growing areas between Raleigh and Durham. Adjacent to the WakeMed Brier Creek Healthplex and within walking distance of upscale dining, shopping and entertainment, this property meets all the criteria for a highly successful project. Design planning is underway for a luxury optimal living apartment complex with a clubhouse, multiple dining venues, a Center for Optimal Living with a full health and wellness program and supportive services. A partnership with a physician practice to provide on-site primary care and a physician-led Optimal Wellness program is also expected to make the Cambridge Village community unique and attractive to older adults seeking an a active lifestyle. With more than 20 years in the senior housing industry, Kendall Oliver has an insider’s perspective on what it takes to design, build, staff, and market a seniors community project. Kendall’s in-depth operational knowledge comes from first-hand experience. He is a licensed nursing home administrator and opened his first assisted living facility, Cambridge Hills Assisted Living in Roxboro, in 2000. Kendall owns 5 facilities and is currently exploring options for opening new independent living communities. 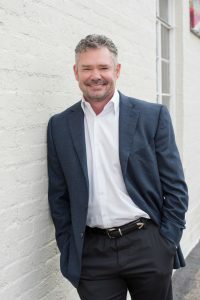 His diverse skillset has enabled him to venture into a variety of other real estate projects, including office, commercial and land development. Kendall and his family live in Raleigh, NC, and attend Crossroads Fellowship Church.